Valet Parking available on request. It is charge at the rate of £20.00 per car and to be paid directly to the doorman in cash. 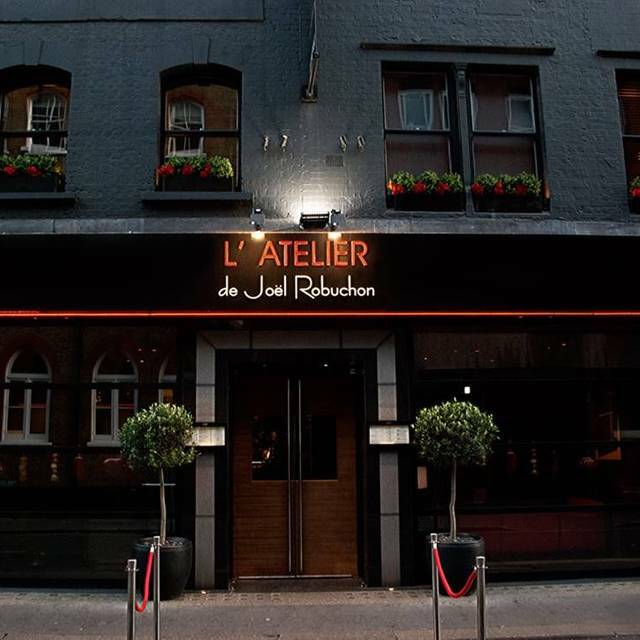 L’Atelier de Joel Robuchon restaurant in London’s West Street near Covent Garden is one hot dining experience. 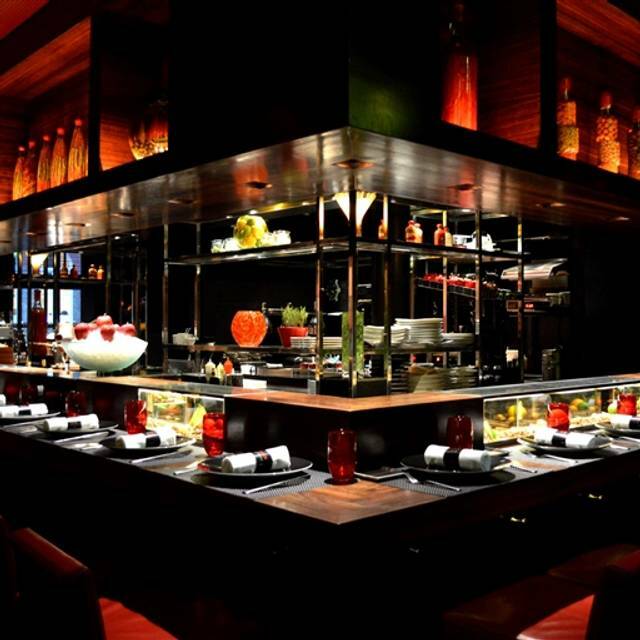 From the stable of Joel Robuchon, holder of 29 Michelin stars, L’Atelier de Joël Robuchon brings stunning Spanish and Japanese-inflected French cooking to the capital. 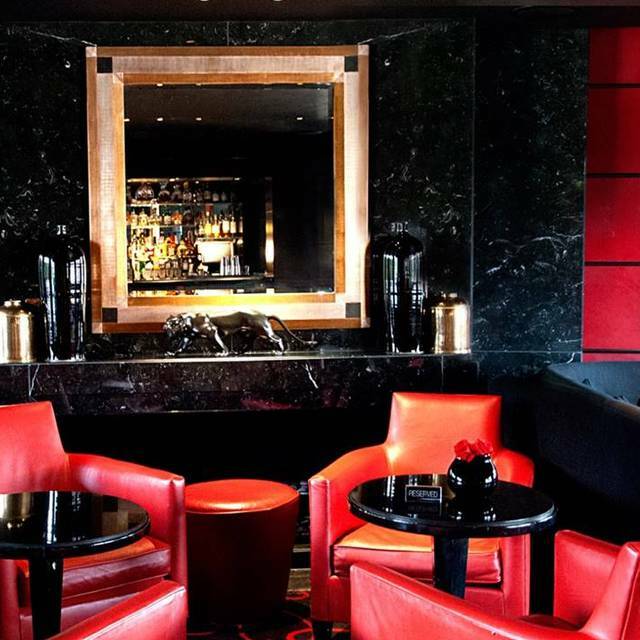 The ground floor L’Atelier, chic red and black minimalism, is where you perch on high stools and admire the chefs in the theatre kitchen cooking tiny, beautiful dishes of intense flavour, served sushi-style. 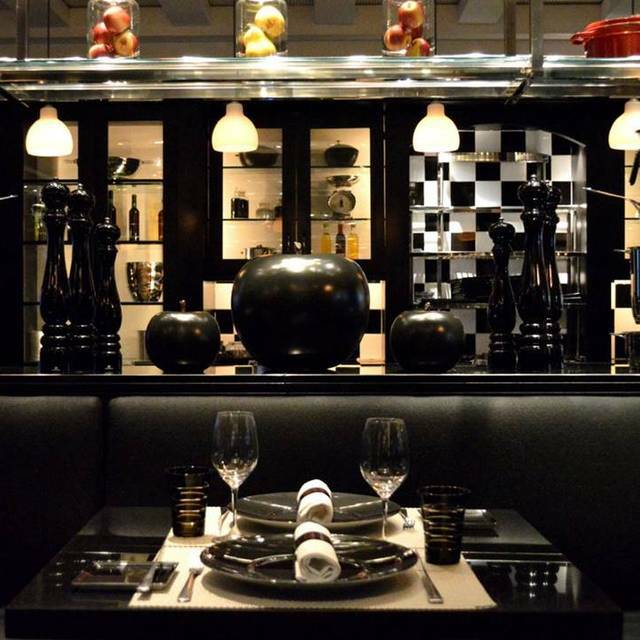 The first floor La Cuisine offers equally marvellous cooking in a bright, monochrome space with traditional seating. 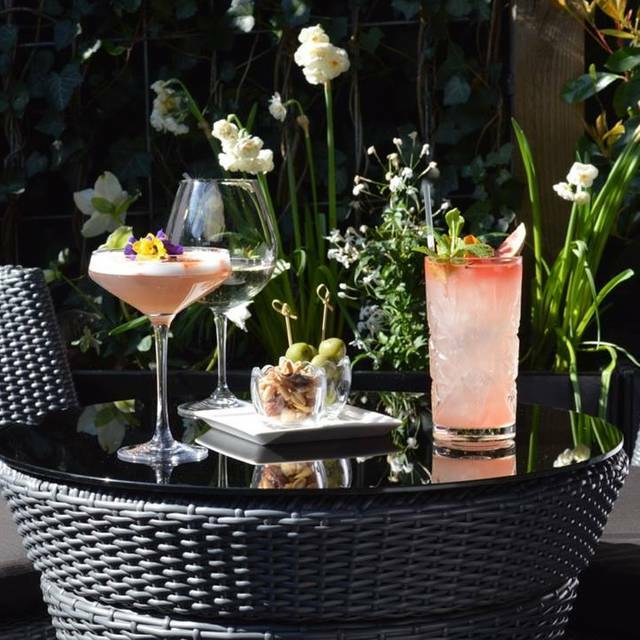 Dishes include divine pig trotter on parmesan toast, mini burger with beef and foie gras, mackerel on thin tart with Parmesan shavings and olives, and magical puddings like chartreuse soufflé. The wines are of the highest order, as is the service. 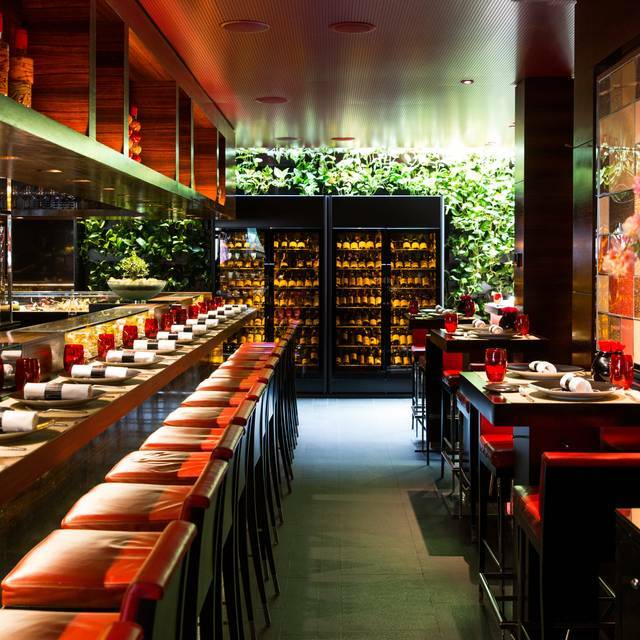 L’Atelier de Joël Robuchon is celeb central and foodie heaven all in one terrific West End location. Private Dining available. Food wasn’t as good as expected . Dishes we ordered had flat taste except for foeigras. The British sommelier’s service was not up to professional standard to be expected from in the high end restaurant , rather in the average pub. These guys really know what they are doing. Service is attentive but unobtrusive. Food is magnificent. The tasting menu allows you to try a different range of foods and just watching the chef's do their work is a treat in itself. 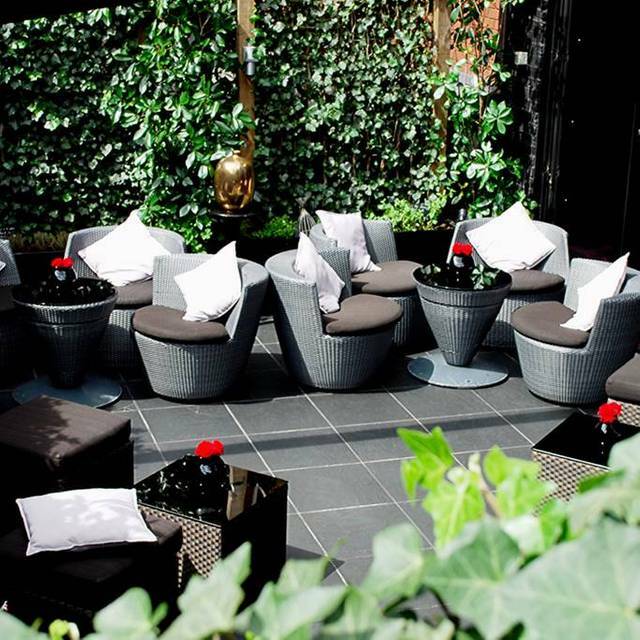 A brilliant place for a special occasion - certain to be memorable! It was a bad experience for me. I was alone that night because my husband didn’t like French food and what happens? didn’t enjoy my experience with the staff. The waiter was inefficient and lazy. The girl that was giving me the foods, not friendly and felt like she didn’t enjoy her job and not smiling and could hardly understand her when she talked and described the food selection. We’ve been foodies for a long time, been to the best restaurants in the world and can spot a good restaurant and crew the moment we step in and have a seat. Food was not great on top of that. Total waste of time and money. I still gave 20% tip which I regretted. Will never go back and that’s it and will tell my hairdresser that this restaurant she recommended was inferior and badly managed. If only the late Joel knew what’s going on now in his establishment now that’s he’s gone, he’ll be rolling in his grave. The team there is always the nicest, most polite and friendly ! The food is great, wine list too ! The best lunch I ever had!! Quite an intimate place, wether you are there to watch the chefs and cooks ballet or for sharing a few exceptionnal dishes, I recommend the place. Discovering high cuisine, having nice wines to go with it. If it were possible I would definitely eat there every day! First time in the London branch - wasn’t expecting a fixed Valentines meal but in actual fact, it was superb! Excellent & attentive staff, mentioned it was my birthday and had the staff surprise me with a song and specially decorated dessert! 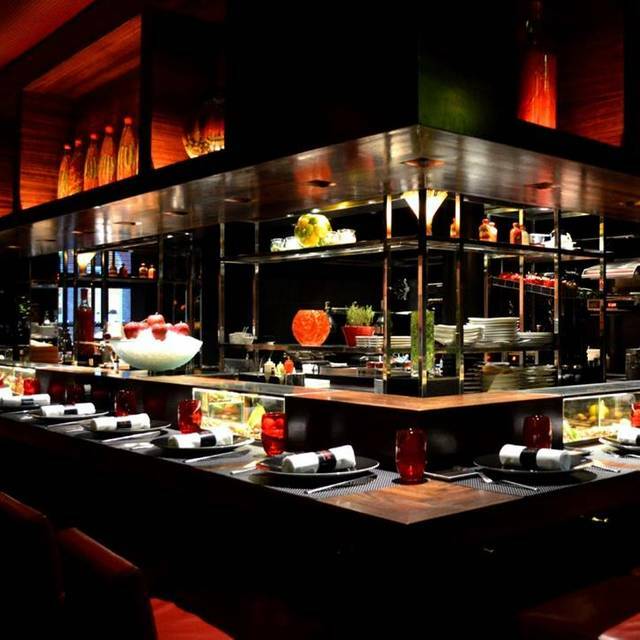 Everything about L'Atelier de Joel Robuchon is perfect - ambiance, service, friendliness and THE FOOD and presentation! We had the pre-theatre menue which presented amazing value for the quality and choice of dishes offered, including coffee and a glass of wine. We'll be back very soon! Eaten here on many occasions and never been disappointed. Very nice experience : food outstanding and friendly but efficient service. The post theatre menu ( available after 9:30 pm) is a very good deal. Amazing experience ! Dishes are delicious and the service was great. This is the second time that I have been in London and couldn't wait to eat at this restaurant. Everything was perfect. Waiters were fun and accommodating. Fun to watch the many chefs talking and cooking. Food excellent. Such a show, delicious superlative food! This is a must for when I am in London with my wife. High level technical kitchen: fresh products, cooked at the point but without soul. Done exactly like the script. Food took too long. Portions smaller than expected. Great lunch, overlooking a wonderful kitchen - fascinating! Wine is exceptional, food brilliant, staff impeccable. Informal innovative and quiet. Highly recommended. Great buzzy atmosphere with super decor. The menu is varied with taster menu portions or main course. 2 of us chose 5 taster dishes to share while 2 people had a starter and main. The food was delicious. Unfortunately, despite allowing two hours we ran out of to have desserts and coffees. The drinks service is crazy and a real let down. They won’t leave the wine bottle on the table and when you are able to get served they only put a small amount in the glass. Having forgotten a coke order we went through both courses with no wine, no water nor soft drinks, only managing to get a small drink between courses. Real shame at the high price and for excellent food. Disappointing as we left the restaurant with probably half a bottle of wine we had paid for sat somewhere on their bar! The second set of taster dishes was only half eaten as we were too thirsty. I wish I was here earlier! The food was good and everything, but they made us wait 40 minutes for the table we reserved a week before that. It's an excellent opportunity to try different dishes and the result was outstanding. The chef monitored and participated whole heartedly on all dishes. Well done and thank you. We came pre theatre, and ate at the bar. Think it's the best restaurant experience we've ever had (and we eat out an awful lot). 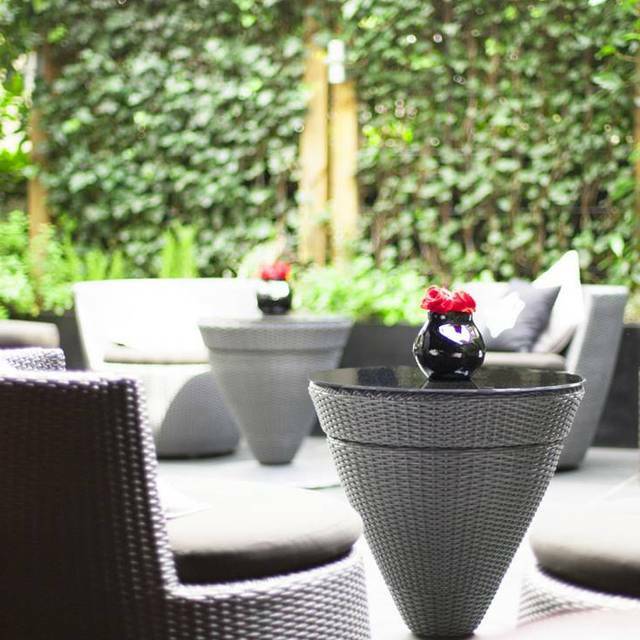 The atmosphere was calm and welcoming, the menus and wine lists offered a great range and the staff were just lovely. The food and wine were just gorgeous, and sitting at the bar gave us the opportunity to watch our food being prepared. A truly fantastic experience! Excellent food and service, we really enjoyed our meal. Seating is all on high chairs, which I didn't realize before booking - but the seats were comfortable for a long meal. A truly exceptional restaurant with incredibly knowledgeable staff who embody a real passion for culinary excellence.